The August wind, regular as clockwork, is blowing the last diehard leaves and last season’s dead plant material clear away in preparation of new life. The school yard is abuzz with a new wave of energy, life and optimism and Spring’s promise of renewed growth. This coming weekend is a hostel OUT-weekend (26 & 27 August). All boarders are expected to be collected from the hostel campus by no later than 15:00 on Friday, 25 August. This does not affect after care, which will be available until 18:00 as usual. We still have some branded clothing items available in the school office: t-shirts, golf shirts and fleece jackets in a variety of colours and sizes. Please contact Thea on admin@thewaldorfschool.co.za to place an order, or pop into the office to have a look. Please mark your children’s clothing clearly! 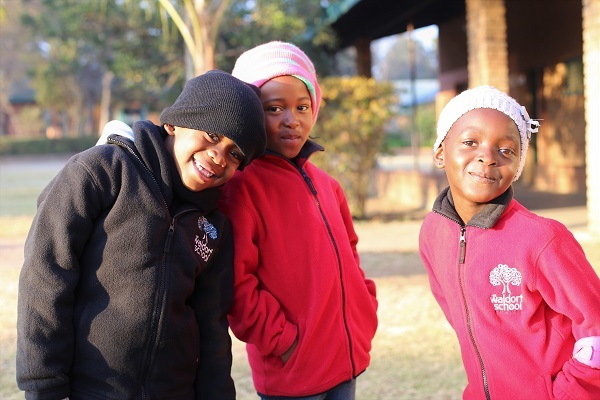 It is tough finding the legitimate owner of an unmarked school shirt or jacket…unclaimed items end up in the school office where we keep it for the term after which we donate the clothing to Lethabong. Please don’t forget to swipe your My School Card when you go shopping at Woolies, and at all participating outlets. If you are not registered on the programme, please complete the application form HERE and have the card sent to you. Our school can benefit from your shopping! Woolworths is currently running their annual Teacher’s Day-competition and there are big prizes to be won for schools, teachers and children. Please see the details of the competition on their advert at the bottom of the newsletter. Link your Makro card to our school – they also have a reward programme for schools. Simply go to the client services counter at your nearest Makro and ask them to link your card to The Waldorf School at Rosemary Hill. We are very happy to announce that we have appointed a Middle School natural sciences teacher to join our College from the start of September until the end of November this year. Cornelia Pretorius is currently completing her MSc degree at Onderstepoort and will join us on a fixed term contract for three months. Cornelia will seem familiar to some – she has been a parent at The Kindergarten for the past two years (Wilhelm and Hannah in the Baby and Toddler group). Welcome to The Waldorf School, Cornelia! Oneira Pretorius has informed Management that she will be retiring at the end of 2017 and we will be advertising for a replacement for her position. Oneira has indicated that she will be available for mentoring Middle School teaching staff, as well as substitute in the Middle School when necessary. We would like to reassure our current grade 6-parents that a suitable guardian will be appointed for the children for grade 7 and that we will keep you informed of any updates in this regard. The Board of Trustees would like to commend the College of Teachers for their courage under fire. It has been a tough financial year and after losing some colleagues in May, the staff who remained had to fearlessly look forward and carry on. Their willingness to help each other out, hard work and absolute belief in what we do here at The Waldorf School is paying off and the positive morale in the staff room is visible, spilling into the class rooms and onto the playground every day. The Board would also like to thank you, our parents, for steadfastly believing in our school. Our learner numbers remained intact through all of this and we are still processing new enrolments – testament to the parent body’s immense trust in the management of the school.